Author Serge Bloch has cleverly combined an inspiring collection of idioms into one marvelous anecdote that is both humanizing and uplifting. 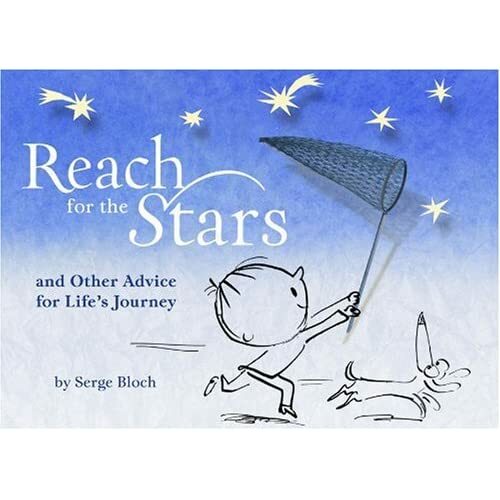 The outcome: “Reach for the Stars.” Presented on thick, white pages are simple pen and ink illustrations of a boy and his dog; complimenting, enhancing, explaining, and humoring each turn of phrase. Small amounts of photography have been added to the pictures, providing splashes of energetic color. Dr. Seuss’ Oh, the Places You’ll Go! has to be one of the most inspiring and encouraging pieces of literacy for children and adults, alike. From the words of wisdom to the nostalgic illustrations, this story is a gift-book favorite among many. 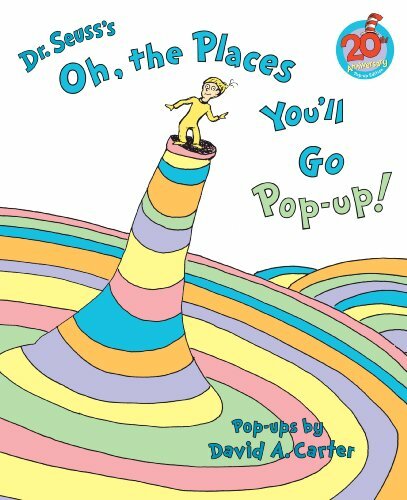 To celebrate the 20th anniversary of Oh, the Places You’ll Go!, the amazing Paper Engineer, David A. Carter (known for his artistic creations One Red Dot and Blue 2), has created a pop-up version that does not disappoint. This awesome book now moves and pops. Every page unfolds into an elaborate scene that truly deepens the original artwork. Just came across your site and wanted to introduce myself and my books to you. My two titles are listed at #1 and #2 on Amazon for both ‘GIFT SUGGESTION’ and for ‘GRADUATION GIFT SUGGESTION’. As a veteran educator who speaks about topics of motivation and literacy, I would love to be contacted if you see a good ‘fit’ for me to be a ‘FEATURED AUTHOR’.